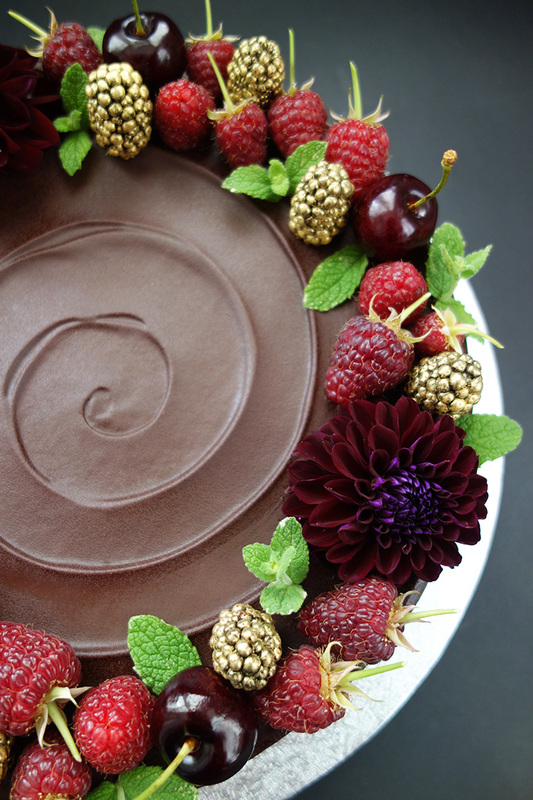 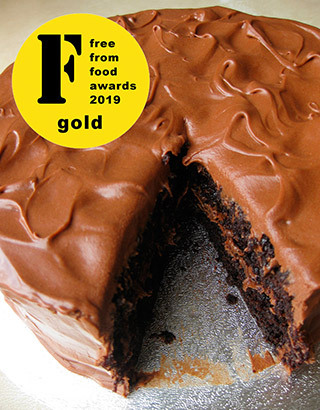 This lush cake won a well-deserved Gold medal at the 2019 FreeFrom Food Awards. 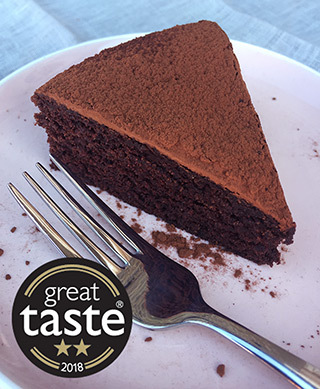 It's a divinely soft, moist egg-free sponge, made with organic cocoa powder and rapeseed oil, and gluten-free flours. 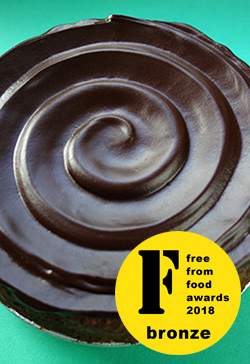 The frosting, made with dairy-free cream cheese, organic dark chocolate and a spoonful of strong coffee, is utterly irresistible. 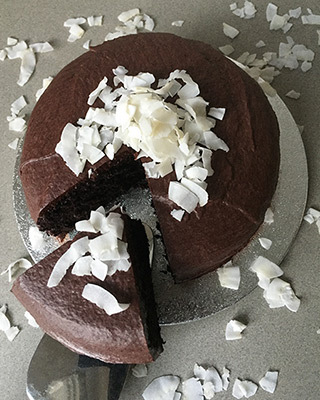 All ingredients egg free, gluten free and dairy free.